In the Middle Ages the Muslim world had the planet’s most scientifically advanced culture. It is easy to forget just how powerful they were. At one stage the Ottoman Empire threatened Vienna. In July 1683 the Christian world held its breath as the Turks surrounded the capital of the Holy Roman Emperor. Leopold himself, ran away. Ottoman victory seemed inevitable. But supplies were short in the Turkish camp. A Polish army arrived and in a pitched battle saved the day. Turkish cannons were melted down to cast a huge bell for the cathedral in Vienna. It was a huge shock to the Ottomans. It was the first time that they had been defeated by a Christian power. It was also the first time that the moslem army was not as technologically advanced as its adversaries. Science had been systematically studied in the West and applied to a wide range of activities including the production and deployment of arms. The Muslim world had fallen behind. How could they have got it so wrong? Osman III was a contemporary of Frederick III. He designed his own palace called Sansouci, without a care, but he took great care over the state he ran. His court was small, efficient and without a trace of corruption. The court of Osman III by contrast was a life of luxury sequestered away from the problems of reality. The whole culture of government degenerated. Lucrative civil service posts were sold to the highest bidder rather than the best candidates. Meanwhile the Prussians were getting on with the business of education and scientific progress. Religious toleration was practiced – but the Church was not allowed to get in the way of science. The Turks by contrast were forbidden to even read printed material. Printing was punishable by death. Good news for calligraphers, bad news for scholars hoping to keep up with research in the West. An observatory had been built in Istanbul early in the fifteenth century, which had been ahead of its time in the standard of work it carried out. In 1577, following an unfortunately inaccurate astrological prediction of a battle against Persia, the observatory was destroyed. It was a very different story in the West. The Royal Observatory in London was to be founded a couple of decades later providing data for the likes of Isaac Newton to work on. It was the West where science, with support from monarchs, was to flourish. Frederick III offered prizes for the solutions to key scientific problems. The link between science and military power was not lost on Frederick. His military base in Potsdam ran the country to the extent that Prussia was described as an army that had a country. The Prussians were particularly famous for the efficiency of its artillery. The accuracy of its guns was helped enormously by the application of physics. In London Benjamin Robbins, a Quaker of all things, wrote a treatise explaining how to calculate a projectile’s path taking into account wind resistance. It was translated into German by Euler, who added tables to aid its practical application. In the nineteenth century an Arabic scholar presented a study to the Sultan explaining exactly that the Turks had to adopt Western ideas if they were to keep up. A French technical expert was brought in to bring the Turkish armed forces up to date. In 1843 the Sultan even moved out of the old Tokapi Palace and built a new western style residence. But it was a facade. Event the clock was built in Austria. It wasn’t until Kemal Ataturk in the twentieth century that Turkey really began the root and branch changes it needed. Ataturk’s vision was to create a secular form of government. Islam played too dominant a role in the state. The two needed to be separated. He also founded a university along with an observatory, finally replacing the one destroyed four hundred years before. We then move on to Israel from Turkey. Israel is a Western country, albeit a new one, with secular values. It is also one of the most scientifically oriented countries in the world. Israel filed 9,000 patents last year, Iran filed 50. Science is one of the things that enables a small country surrounded by implacable enemies, but its use of science gives it the ability to hold them back. But is the East beginning to catch up? 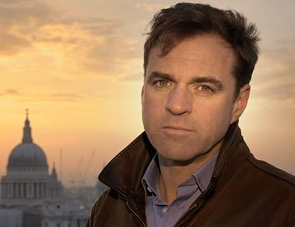 Science is clearly not Niall Ferguson’s strong point. I thought this programme was much weaker than the first one in the series. Science may well have been one of the killer apps that helped the West come to dominate the world, but only circumstantial evidence is presented. Isaac Newton gets a fleeting mention. Robert Hooke is mentioned in passing. If you didn’t know that Euler was a mathematician you would imagine that he was simply a translator from the one quick mention he gets. Even the one man whose actual work is described – Benjamin Robbins the founder of scientific gunnery – gets less coverage than the political figures discussed. We hear a lot about what science can do and how useful it is. I would have liked a bit more about what it actually is. But as a scientist I am probably a bit more sensitive about superficial coverage of science than most people would be. It was another well structured fast paced and above all interesting show. It is rapidly becoming the highlight of my week’s television viewing. Note: this review was written as I was watching the programme – and although I have gone back and edited a few details it is pretty much as I first wrote it. Consequently up until the last couple of paragraphs I may be paraphrasing Ferguson’s opinions rather than expressing my own. I have put my thoughts on whether Niall Ferguson is right when he calls science a killer app here. Previous PostHow Big were Cities in the Ancient World?Next PostScience – a killer app? Well done Colin, how did you manage to type so quickly?